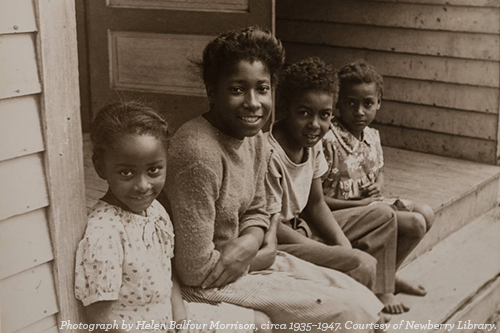 The exhibit focuses on two communities in Depression-era Kentucky, Zion Hill and Sugar Hill. The towns were settled by freed men after the Civil War, and the photos document the lives of their close-knit descendants. They showcase the independence and dignity of the community&apos;s daily rituals, from social interactions to farming chores. The exhibit features almost 80 photos and also includes Morrison&apos;s original home movie of her 1935 trip, as well as a slide-show with almost 500 images. Galleries are open Tuesday–Thursday, 8:15 a.m.–7:30 p.m. and Monday, Friday, Saturday, 8:15 a.m.–5 p.m. CLOSED Sunday. Join a curator-led tour on Thursday, February 23, or Thursday, March 30, at 5:30 p.m. No registration required. Tours will meet in the lobby five minutes before the tour time. Plan your visit today!